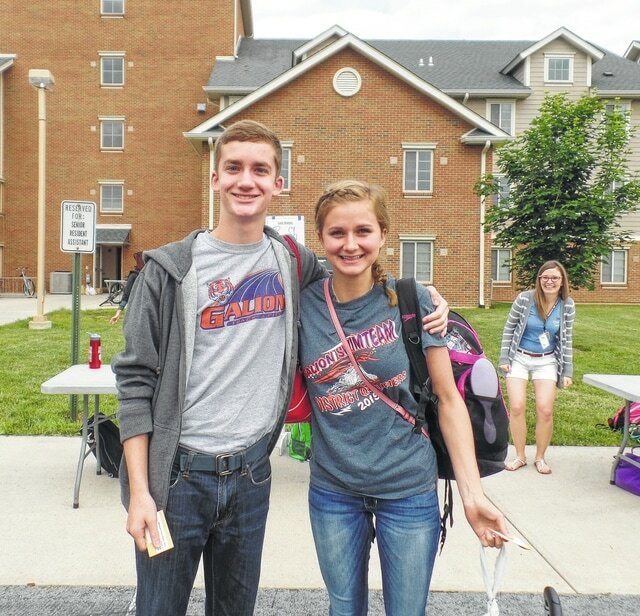 More than 200 sophomores from northern and western Ohio attended the HOBY Youth Leadership Seminar June 4-7. Included in this year’s group were Galion’s Thomas Shawk and Brianna Wallis. Other local students in attendance were Tamara Metzger of Buckeye Central High School and Lynae Rausch of Wynford High School. Students were selected by their schools to go to Ohio Northern University for the seminar, which encourages them to apply their leadership talents to becoming effective and ethical leaders. Participants take part in hands-on activities, meet leaders in their state and explore their own personal leadership skills in order to make a positive impact in their community. At the end of their seminars, HOBY Ambassadors are challenged to give back by serving at least 100 volunteer hours in their communities. To date, HOBY Ambassadors have performed over 3 million hours of volunteer service in their communities. Following a motivational meeting with Dr. Albert Schweitzer during a trip to Africa in 1958, Actor Hugh O’Brian was inspired to establish Hugh O’Brian Youth Leadership. For 56 years, Hugh O’Brian Youth Leadership (HOBY) has helped to cultivate leaders by inspiring a global community of youth and volunteers to a life dedicated to leadership, service, and innovation. HOBY programs annually provide more than 10,000 local and international high school students the opportunity to participate in unique leadership training, service learning and motivation-building experiences. For further information on HOBY, visit www.hoby.org.